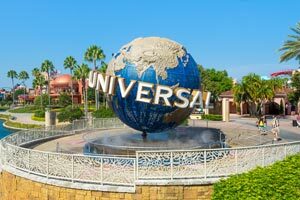 With a stay at Orlando's Sunshine Resort in Orlando, you'll be just steps from Fun Spot USA and 15 minutes by foot from Orlando International Premium Outlets. This hotel is 2.1 mi (3.4 km) from Universal Orlando Resort™ and 2.1 mi (3.4 km) from Universal CityWalk™. Make yourself at home in one of the 84 air-conditioned rooms featuring kitchens with full-sized refrigerators/freezers and stovetops. Rooms have private balconies. Cable programming and DVD players are provided for your entertainment, while complimentary wireless Internet access keeps you connected. Partially open bathrooms have jetted bathtubs and complimentary toiletries. Take advantage of recreational opportunities offered, including a spa tub, a sauna, and a fitness center. This hotel also features complimentary wireless Internet access, concierge services, and barbecue grills. Grab a bite from the snack bar/deli serving guests of Orlando's Sunshine Resort. The preferred airport for Orlando's Sunshine Resort is Orlando, FL (MCO-Orlando Intl. ).